The settlement at a medieval castle of Trakay. Arches of Medieval castle. 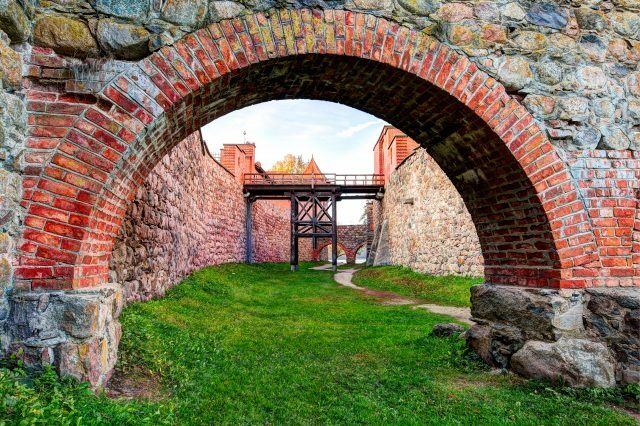 Trakai, Lithuania. Trakai castle in summer evening. Dramatic sky landscape in Lithuania. Island with historical ancient architecture sight heritage on lake Galve in summer cloudy sunset. Picturesque fabulous seascape. 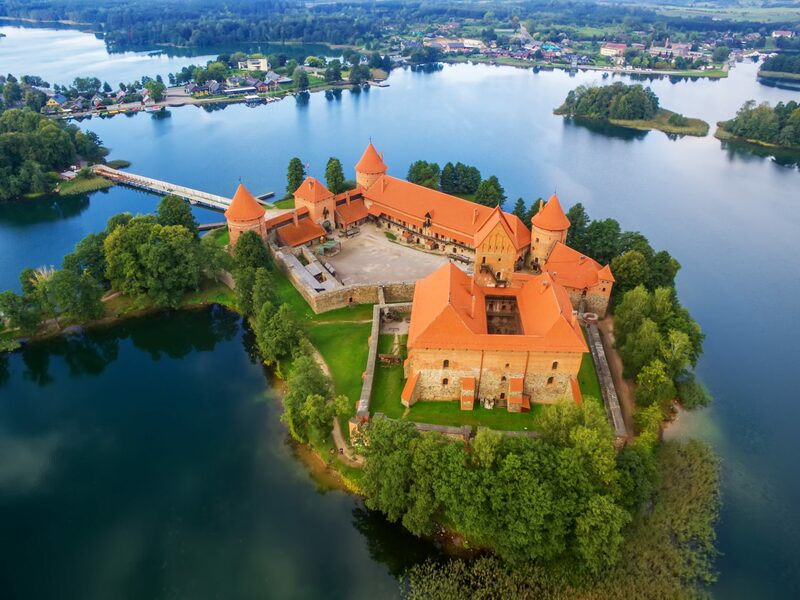 Discover the majestic island castle of Trakai. Once strategically important for Grand Duchy of Lithuania, today a beautifully renovated complex. 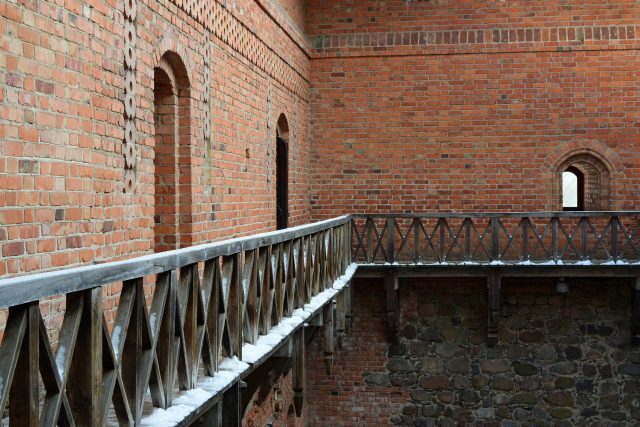 Please note from October to April the Trakai Island Castle is closed on Mondays. 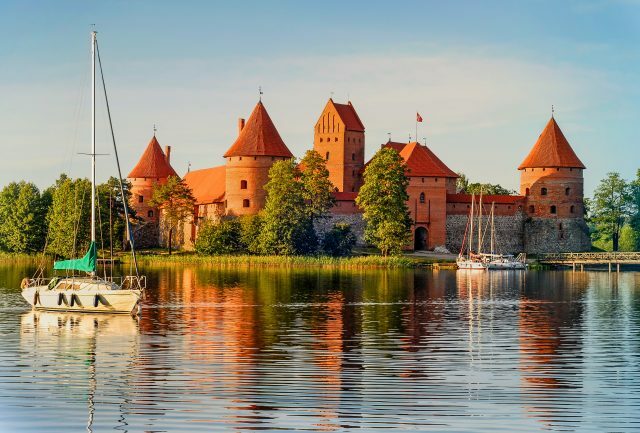 The former importance of Trakai as the capital of medieval Lithuania is still evident in the Trakai Castle & Museum surrounded by a naturally stunning lake Galve. 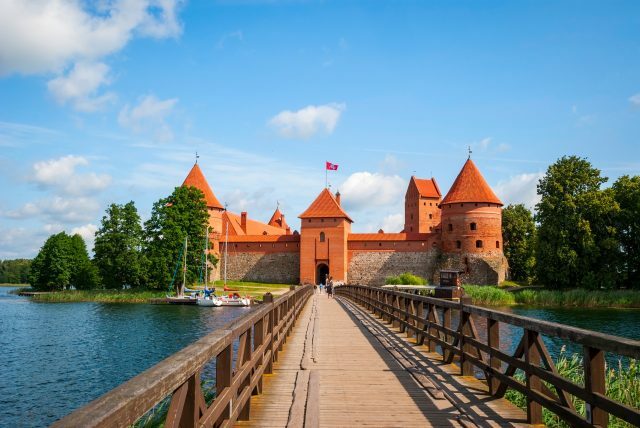 Embraced by multiple lakes from all sides, the short drive from Vilnius to Trakai is a panoramic treat to enjoy an introduction to the grand history of the Lithuanian state. 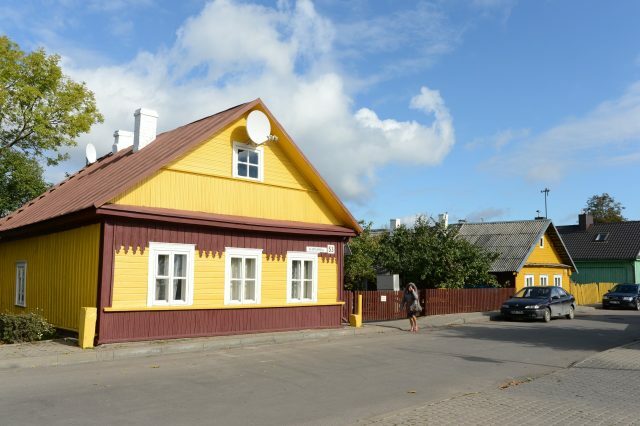 Once in Trakai, we are welcomed by a miniature wooden town interestingly featuring three windows on most house facades. 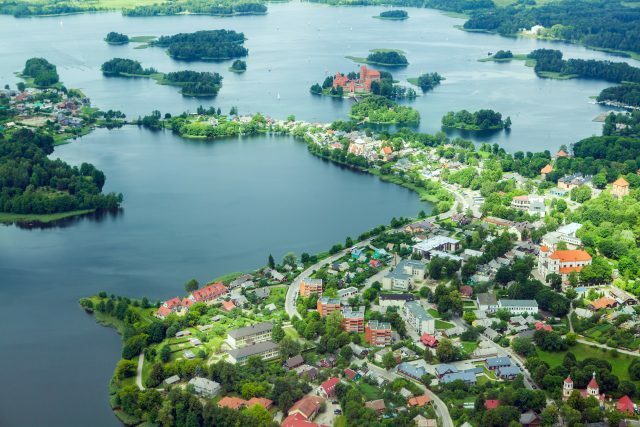 Aside the resort town reputation, Trakai takes pride in its open space and vast panoramic views. During the guided tour in the elaborate 15th century inner castle, we will see an exhibition of prehistoric findings and 17th-18th century applied arts. 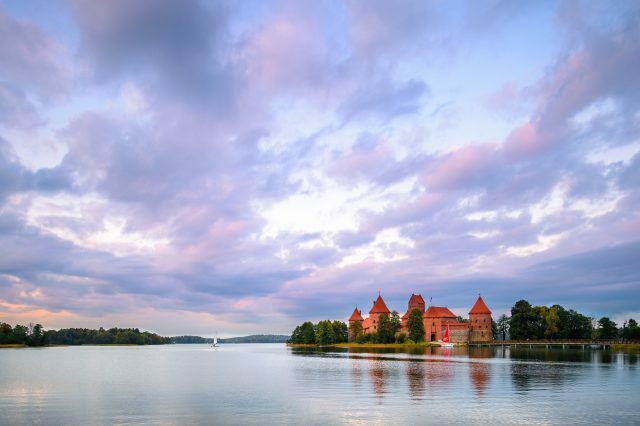 Resembling a grand floating ship in the middle of a scenic lake, the Trakai Castle is magical and exceptional, masterpiece of its time. Our tour comes to an end with a drive back to the capital city of Vilnius.